The H10 Suites Lanzarote Gardens is a 3 star rated apartment complex located in Costa Teguise only 300 metres from the beach and a convenient 16 kilometres from the island's airport. 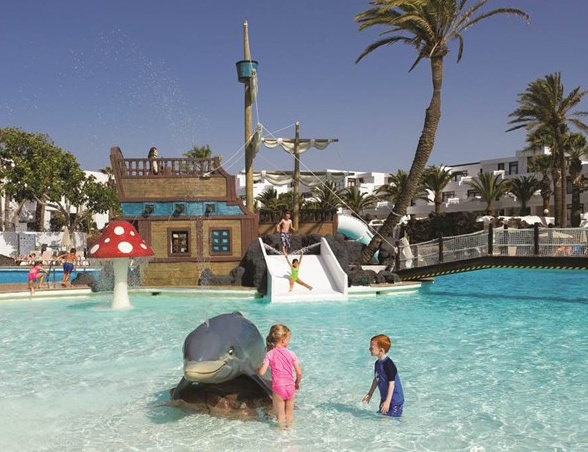 Holidays here are designed with children in mind, the complex is an ideal choice for family holidays and the satisfaction level from guests of the Lanzarote Gardens has been consistently high over several years. The complex has 241 suites and bungalows each is well equipped with a bathroom, terrace, bedroom and a kitchen with oven, refrigerator and coffee machine. The apartments also have a TV with digital plus channels, a safe deposit box and direct dial telephone. 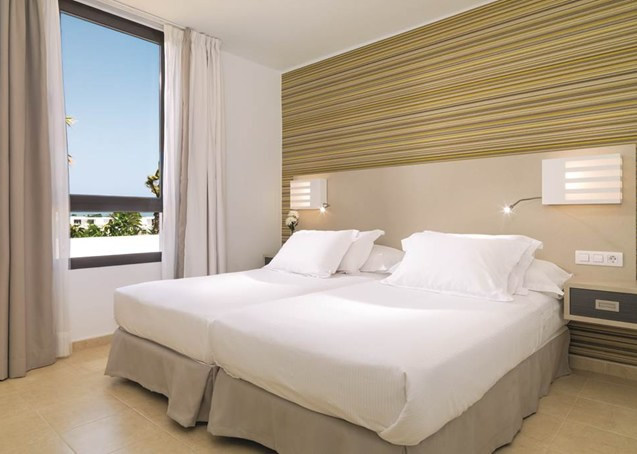 The H10 Lanzarote gardens also has dedicated apartments for non smokers and apartments equipped for the disabled. In the spacious grounds you will find two fresh water pools (one heated in winter) a children's pool (heated in winter), two tennis courts, a pool table and a table tennis table. The Lanzarote Garden's animation team organise a day time activity programme with entertainment provided for all kids age groups to give parents some well earned relaxation time! There is a baby club that takes toddlers from 6mths to 3 years, a mini club for 4 to 8 year olds, a junior club from 9 to 12 years and in the main school holidays a teen club for over 13's. The islands challenging golf course is only 4 kilometers away. The H10 Suites Lanzarote Gardens has a choice of dining options from Half board to all inclusive. Meals are taken buffet style in the Famara Restaurant, here you will be treated to both local and international dishes with show cooking and separate children´s buffet. 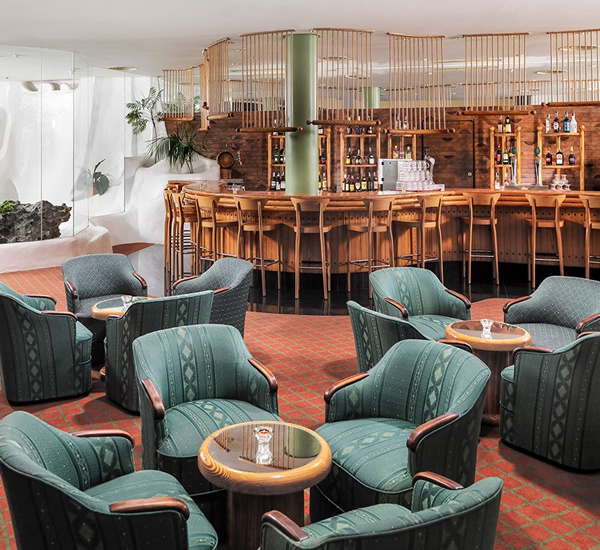 The Poolbar Paradise is the place for daytime refreshments and snacks it also offers the Daisy Menu for children. In the evenings head for the Bar Salón Río: with evening entertainment including the children's Mini-disco with the mascot Daisy and Disney shows. Other facilities available from the H10 Suites Lanzarote Gardens include, a 24 hour reception, a car parking area without surveillance, a children's playground, an internet corner, and a Medical Centre and Chemist in the same building. Wi-Fi is available throughout. * Excursions and sightseeing are available from the hotel, a popular choice is the nearby Aqua Park this water park has some of the best water rides you can imagine and is open every day 10:00am to 18:00 pm. For adults over 16 the hotel has a Spa - sauna*, whirlpool* and massage treatments* (Open between 10.00am and 1.30pm). (*Local charges may apply). For excursion ideas and opportunities click Lanzarote to see more information.